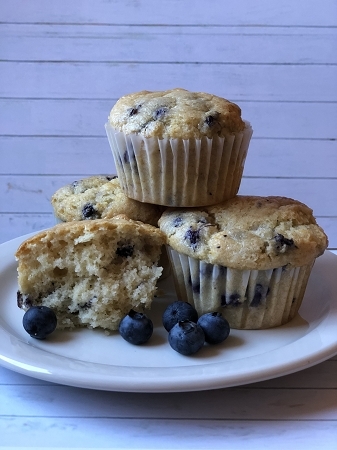 Our Blueberry Muffin mixes make healthier, diabetic-friendly muffins with loads of blueberry flavor. Simple to make—just add water and bake. 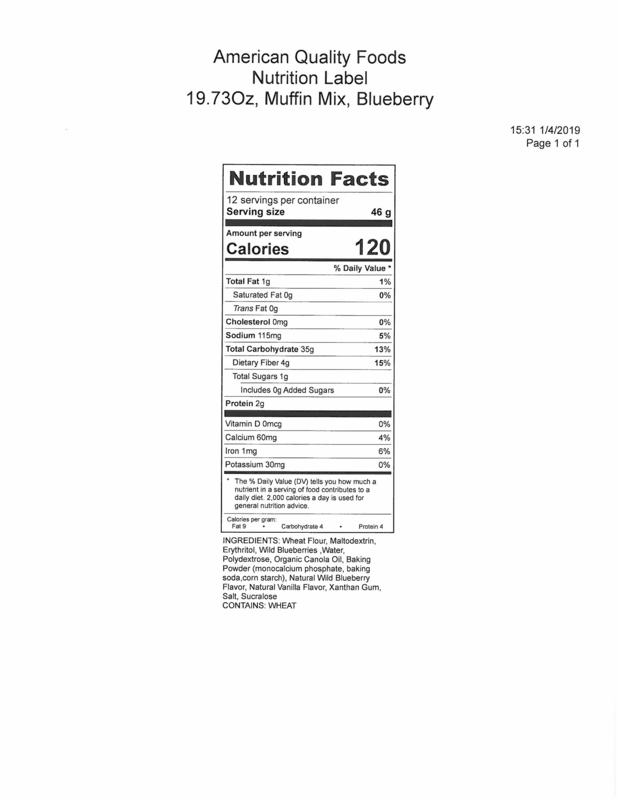 Whole Wheat Flour, Wheat Flour, Maltodextrin, Polydextrose, Low Moisture Apples (contains: Apples, Blueberry Puree, Sodium Citrate, FD&C Red #40, FD&C Blue #1), Sugar Cane Fiber, Shortening (Soybean Oil, Canola Oil, Mono & Diglycerides), Erythritol, Nonfat Dry Milk, Whole Dried Eggs, Modified Starch, Monocalcium Phosphate, Calcium Acid Pyrophosphate, Emulsifier, Baking Soda, Blueberry Flavor, Vanilla Flavor, Salt, Xanthan gum, Cellulose Gum, Sucralose.